For many Sri Lankan's, the psychological effects of the war are a daily battle. Some estimates measure over 30,000 casualties during the two and a half decades of the conflict. LTTE militants used heavy explosives to destroy the Kilinochchi water tower as government troops overran their positions during the final weeks of the war in 2009. Kilinochchi, Sri Lanka. 2013. Since Sri Lanka's 26 year civil war ended, many reminders of destruction and brutality still remain in the Northern communities. 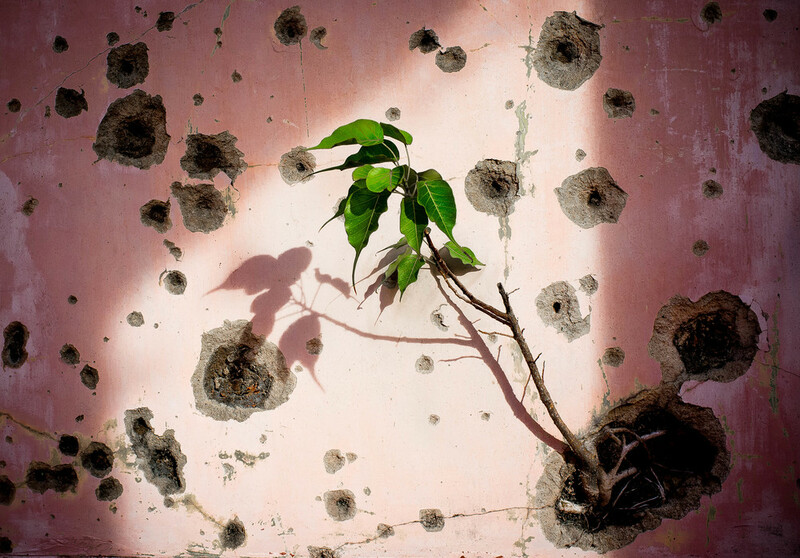 In Jaffna, nature consumes the evidence of battle between LTTE militants and government forces at the abandoned Jaffna Train Station. Sri Lanka's capital Colombo shows little signs that a war ever existed. A young couple hide their displays of affection during a sunny day at Galle Face Beach. The battles that raged in Sri Lanka's Northern provinces left scores of unexploded mines and mortar rounds across farmland and jungle. After the rainy season, farmers and children often fall victim to these hazards after they become unearthed by weathering. Outside Kilinochchi, Sri Lanka. 2013. A small boy resides in a rural village one hour outside of Kilinochchi. He and his siblings are looked after by his aunt, a former LTTE fighter, and his grandparents. The whereabouts of his parents are unknown at this time. 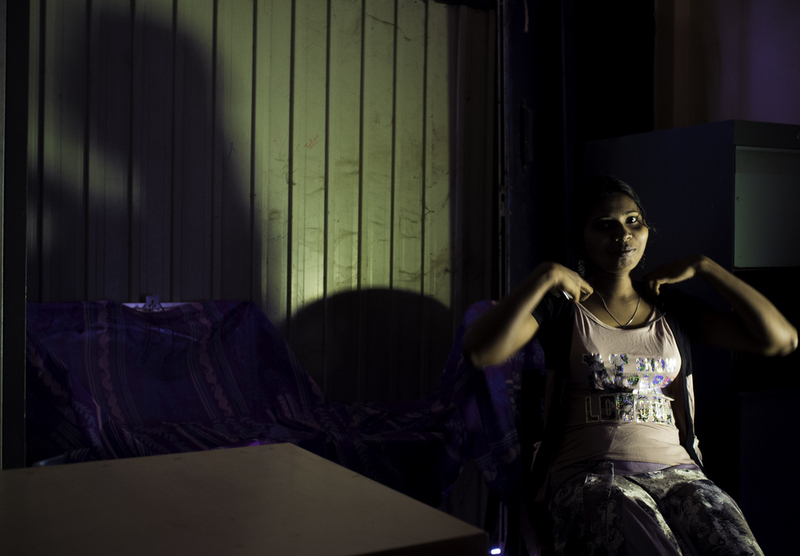 Young women who lost their families during the war pursue establishing a new one at a girls-home in Jaffna. The circumstances that lead them here range from parental abuse to losses during the war. During the monsoon season, heavy rains will often knock out power sources in Northern Sri Lanka. The Northern part of the country was the site of a brutal civil war that ended recently in 2009, and is still moving forward in reconstruction and reconciliation efforts. Foursquare Girls Home. Vauvanya, Sri Lanka, 2013. The Northern Sri Lankan town of Vavuniya was once marked on military maps as the last stop before reaching the combat zone during the civil war. The town now features a mosque that draws in a small muslim population for the Salat (prayer) five times a day, and it continues to be under heavy military presence by the Sri Lankan Army and Air Force. Girl's at an orphanage in Jaffna play with a ball after school. Once a busy travel hub before government military offensives, the old Jaffna Train Station now stands as a reminder of close range battles between LTTE separatists and the Sri Lankan Military. Local youth use the abandoned wasteland as a place to smoke cigarettes and a refuge from the afternoon sun. Young boys search for Crawfish just before a major rainstorm was scheduled to hit. The canoe was donated by the Sri Lankan government as a means of post war reconcialtuion. The area is under constant watch by government agents that seek to suppress any possible uprising by the Tamil people who reside in the Northern part of the country. What was once a busy train station serving connections between northern and southern Sri Lanka, would end up becoming a site of ferocious battles between the Sri Lankan military and LTTE rebels. The site has since been demolished to make way for a newly constructed train station, that will once again connect the northern and southern halves of the nation.